The so-called CAM program is one of several terminated under Trump. camera (Patrick Semansky/AP) Gabriel Mejia hugs his daughter Wendy, 16, as he holds his son Elias, 1, after her arrival from El Salvador at Baltimore-Washington International Airport on Nov. 12, 2015 in Linthicum, Md. 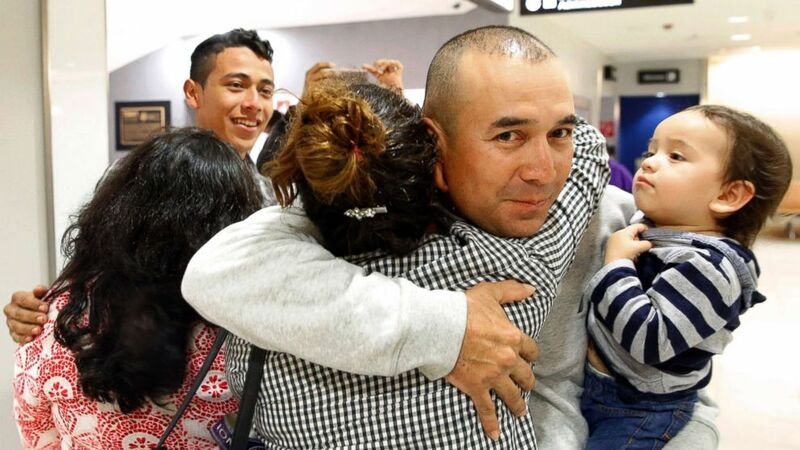 After 15 years apart, Mejia reunited with his children, some of the first teenagers to be granted refugee status and permission to travel legally to the United States through the State Department's Central American Minor program. At midnight tonight, the Trump administration will end another immigration program -- one that reunited children from Central America with their parents here legally in the U.S. 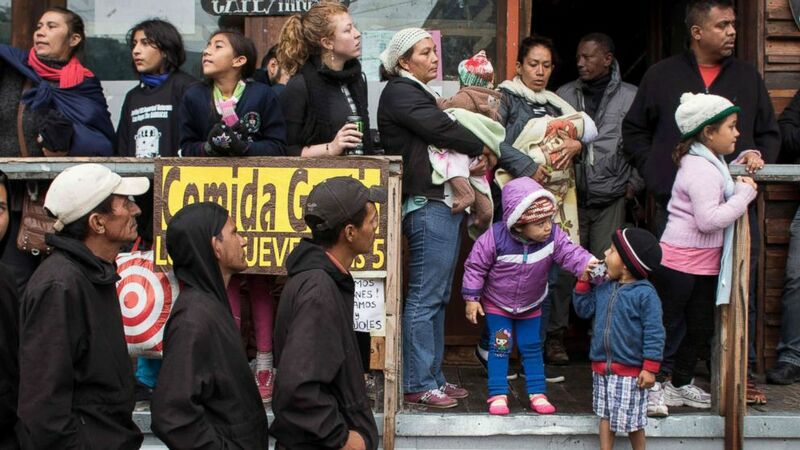 The Central American Minors, or CAM, refugee program allowed certain parents who were lawfully present in the U.S. to request a refugee resettlement interview for their children and other family members from three Central American countries: El Salvador, Guatemala, and Honduras. The other family members who qualified only included the child's other parent or caregiver or the child's own child, the parent's grandchild. After 11:59 pm ET tonight, the State Department will not accept any new applications to the CAM program. Those who have already applied will continue to be processed, undergoing all the necessary screening such as DNA testing, security checks, and medical examinations and given entry if they meet the requirements. The program was started in December 2014 by the Obama administration after the enormous influx of tens of thousands of unaccompanied minors and families from Central America seeking asylum in the U.S. Since then, the program has received over 14,000 applications. About 8,000 of those have been processed, with 3,238 children and family members admitted, as refugees and parolees. The other 6,000 individuals remain in the pipeline and could still be given entry. (Fuillermo Arias/AFP/Getty Images) Central American Migrants seeking asylum in the United States await near the US-Mexico border at El Chaparral crossing in Tijuana, Mexico on May 7, 2017. While the Department of Homeland Security announced in August that it would terminate the program, critics blasted the administration for the short notice, as well as what they called the cruelty of the decision. "Terminating the entire CAM program will neither promote safety for these children nor help our government regulate migration," said Bishop Joe Vasquez, the chair of the U.S. Conference of Catholic Bishops' Committee on Migration. "We continue to pray and express our support for parents who endure anxiety and emotional hardship knowing their children will continue to languish in violence; and to the children themselves, who will not be able to reunite and embrace their parents." The International Rescue Committee, a global humanitarian aid group that works with refugees, called the decision "particularly brutal – even in light of a year of cruelty toward refugees, like these minors, and immigrants." Trump has said that refugees pose a potential threat to U.S. national security, warning of ISIS, al Qaeda, or other terror groups infiltrating their ranks to carry out attacks -- though refugee advocates refute that idea, citing the years refugees have to wait and the amount of screening they must first pass. That was the administration's reasoning for curtailing the regular refugee admissions program in September, setting the lowest cap in the program's history at 45,000 refugees. But the government has not warned about any specific terror threat from these Central American countries, and State Department officials would not say specifically why it was shutting down the program. "This decision was taken as part of the overall U.S. government review of the U.S. Refugee Admissions Program for FY 2018," a State Department official said in an emailed statement. Another official said the termination was "to make sure our refugee program is doing what we want it to do," but would not say what that was. Critics of the program under the Obama administration, however, charged that it did not work because many of the applicants did not legally meet the definition of a refugee because they were fleeing violent conflict, but not persecution of some kind -- something Obama's Secretary of Homeland Security disagreed with, calling the program "an alternative, safe, and legal path to the United States for children seeking protection from harm or persecution in El Salvador, Guatemala and Honduras" in July 2016. The end of the program comes three days after the Department of Homeland Security announced the end of Temporary Protected Status for Nicaraguans in the U.S. -- another immigration program that gives special immigration status to people from a foreign country where the U.S. determines that conditions in that home country prevent them from returning safely or where the country is unable to handle their return adequately. Some 2,500 Nicaraguans living in the U.S. -- many of whom have been here for years and had children in the U.S. -- now must leave before January 2019 or face deportation then. The administration punted on whether to do the same for Hondurans with Temporary Protected Status, extending the program by six months, but they have terminated several others, including for Guinea, Sierra Leone, and Liberia. Temporary Protected Status will expire soon for Haiti and El Salvador, but the White House has not said what it will decide.